When Kylie from Handmade Kids put out a call for Christmas elves, I quickly put my hand up! Handmade Kids is a fantastic blog that aims to share the best of the Australian handmade community. And for the last part of November, Kylie has been sharing a Gift Guide Series that was curated by her Christmas elves – business owners who have compiled a little collection of lovely Christmas must-haves! So what inspired me as a Christmas elf for ‘Handmade Kids’ this year? I LOVE Christmas and decorating, so I thought a handmade Christmas theme would be a wonderful idea. I have created a collection of gorgeous PDF products that you can purchase online, and download on your computer. So that no matter where you are, you can still get making at creating at home. There’s also some kit ideas for making your kids’ Christmas extra special too! 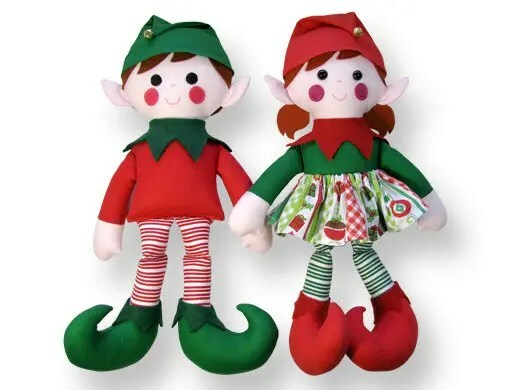 How cute are these elf twins by Pauline from Funky Friends Factory. This PDF pattern is available as an instant download and would make the perfect gift for a little one! 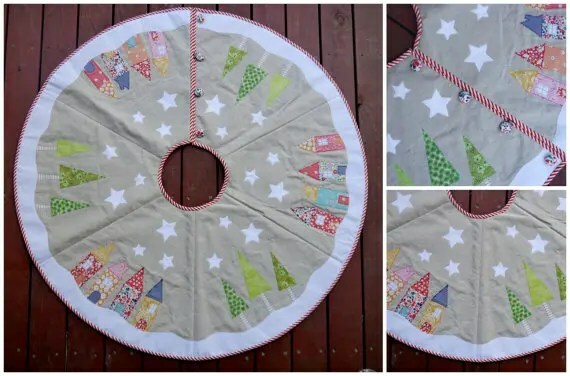 I’m so in love with the little trees and houses in this Yuletide Christmas tree skirt PDF pattern from Claire Turpin Design. 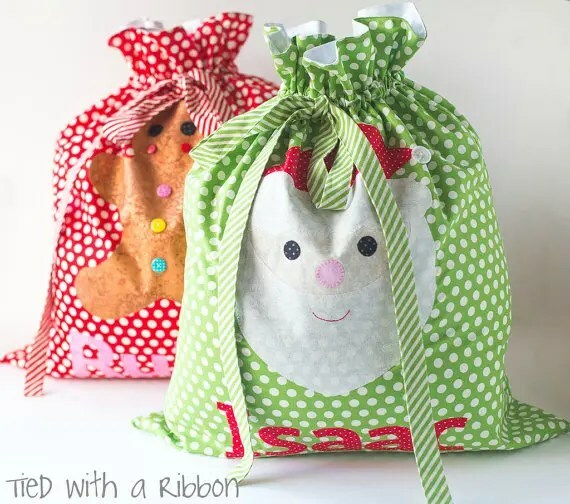 Homemade personalised Santa Sacks are a fantastic gift to be treasured by little ones. This PDF pattern comes with a Santa and Gingerbread appliqué template too! How clever is Jemima from Tied With A Ribbon? Jemima is generously offering our readers 10% off all purchases in her store until the 5th December using the coupon code ‘HandmadeXmas’ at the checkout. 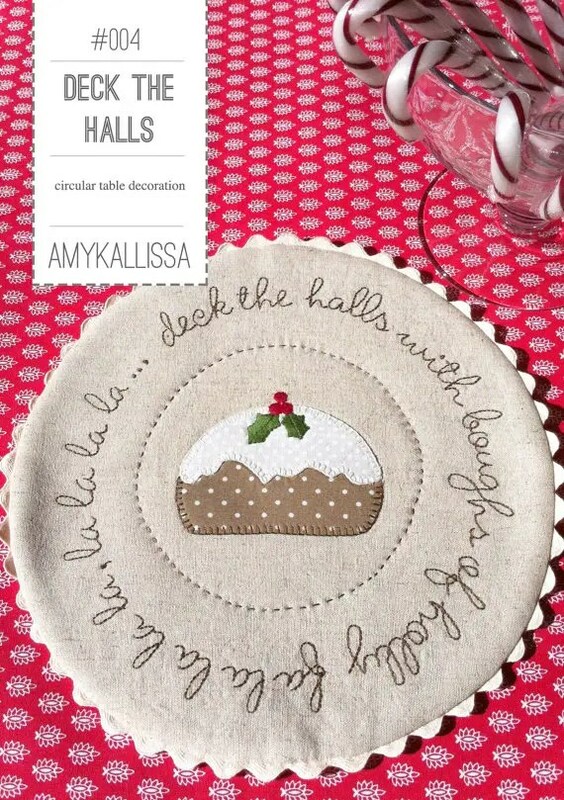 Amy Kallissa has created the most adorable ‘Deck the Halls’ table decoration PDF pattern. And you know I’m a sucker for applique! Amy is also offering our readers 10% off all purchases in her store until the 5th December using the coupon code ‘HandmadeXmas’ at the checkout. There’s also some more inspiring ideas and suggestions in my Handmade Kids Christmas Elf post, so make sure you pop over to take a peek. The series has also seen collections for super heroes, super cute finds, monochrome finds for baby, perfect gifts for mum, rainbow finds, make your own gifts, white Christmas, handmade all the way, gift ideas for boys, wooden wonders and dreamy pastel colours . So make sure you head over for some wonderful ideas! Oh thank you so much Lauren! We just loved running this series (I’m a sucker for Christmas too). So many wonderful products were discovered and new businesses found to explore. Thank you Kylie! That would be wonderful. Merry Christmas!